d mini-album cover, both designed specifically for this project. Save 25% on the workshop kit that includes the My Acrylix® For My Mother stamp set. Create a delightful mini album featuring The World Is Yours designs! This workshop will help you take The World Is Yours designs in a different direction, guiding you through the steps of creating a 15-page Everyday Life™ album. Get the essential items you’ll need by ordering the project bundle shown below, and be sure to have the additional supplies on hand when it’s time to create your project! NOW – have you decided which one you want to do??? I have used it on the page below used the Decorative Border Thin Cut so that it appears I have ripped it out of a notebook. How great does it look!!! Make this holiday season extra joyful with this enchanting advent calendar from the brand new Cricut® Season of Joy collection. You can now purchase a custom bundle of papers chosen especially for creating this project; pair this bundle with your Cricut® collection, a few accessories, and a My Acrylix® stamp set and you’ll have everything you need to create this festive papercrafting project! Celebrate the heart of the Christmas Season! You can never get enough Christmas. For a limited time, we are offering a discounted workshop bundle with an exclusive stamp set that gives you materials to create 12 cards that celebrate the heart of this special season. NB: Stamp set is available to purchase separately. Only available 15 October-31 December while supplies last. Capture memories for every day of this magical season with the Days of December workshop bundle. This memory keeping project will provide you with a place for daily photos and storytelling for the month of December. Get a jump start on this busy time of year by completing your album ahead of time! Create a Colourful Compact Mini Album! Highlight the unique things that are important to you with The Important Things Everyday Life™ workshop. This workshop shows you how to create eight 6 × 8 layouts plus a title page and a closing page for an Everyday Life™ album. The generic theme of this album featuring the bright colours and patterns in the Perfectly Imperfect Picture My Life™ cards make this a versatile workshop you can create for yourself, give as a gift, or even do both! Only available 15 September – 31 December while supplies last. NOVEMBER STAMP OF THE MONTH. BEAUTIFUL STAMPS, AMAZING DISCOUNTS – Our Stamp of the Month Program lets you save big on adorable stamps every month. Each month you can purchase a new D-size stamp set, available for one month only, for just $8.25. 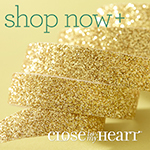 When you place an order of $82.50 or more in Close To My Heart products, you qualify for this special Stamp of the Month pricing. You can also purchase the Stamp of the Month stamp set at the full retail price of $29.50 with no minimum purchase required. S1811 – Seasonal Trees – $29.50 or $8.25 with qualifying purchase. PLACE YOUR QUALIFYING ORDER WITH ME HERE! New Consultants get CTMH Cash! There are many perks that come with being a Close To My Heart Consultant, including getting an exclusive Consultant discount on our high quality crafting products! When you sign up to be a Consultant in November, you’ll get the price of your kit back in CTMH Cash (that is $142-!!! ), which you can use for buying additional creative supplies! New Consultant Kit full of product valued over $300! 22% base commission on product purchases and sales, with the potential to earn even more! Free Consultant website so your friends can shop on-line with you. Host a party in November that reaches the third level of Hostess Rewards or higher, and your rewards will JUMP to the next level! That means you’ll get an extra $22 in rewards and possibly an extra 50%-off item, too! The exclusive Great Outdoors stamp set and workshop kit are ideal for showing your love for nature! This workshop kit guides you through the creative process in making 2 two-page scrapbooking layouts and four cards celebrating the beauties of nature – and it’s available at 25% off the retail price! Celebrating 15 years of Close To My Heart in Canada! Join us in celebrating 15 years in Canada with the exclusive True North stamp set and workshop kit, which is available at 25% off the retail price! The workshop kit contains materials to create 2 two-page scrapbooking layouts, 1 single-page layout, and 4 cards with versatile themes and designs you can truly make your own. Be sure to put these dates in the diary so you don’t miss out on any of the creative fun for 2018! Workshops & Card Buffets are held at Links Neighbourhood Centre, Morphett Vale SA and at my home in Doncaster Victoria. Address will be given upon registration. Additional Dates – are available upon request… If these dates do not suit you please feel free to contact me to arrange a suitable date. If you have a few friends that are interested I can come to you to run a class or workshop. Card Buffet – For $15- you get to create 5 cards. There will be an assortment for you to choose from, everything cut ready for you to stamp & stick. Bring along your adhesive, foam mounting tape, scissors, tweezers & ruler. Additional cards may be created for $3- each. Workshop – You will not only get the day to work on your own projects, you will also spend some time with the ‘make and take’ project. Workshop fees start from $15- (workshop only). You will require basic tools along with your own materials. You will be supplied with materials for the ‘make and take’, and there will be supplies available for purchase. Classes – Classes are available for cardmaking or scrapbooking. Get together with a few friends for a fun couple of hours to create 2 cards, a scrapbook layout or a cute Christmas gift. Step Right Up and take advantage of an exclusive, limited-time offer that is sure to delight crafters of all ages! Introducing the limited-time My Acrylix® Showtime stamp set, featuring fun, playful, circus-themed icons and sentiments that will be the perfect fit for birthday celebrations, theme park visits, or any fun-filled adventure. This stamp set is available on its own for $27- or as part of the Step Right Up bundle that pairs the stamp with 12 paper sheets—including 10 cardstock sheets in 5 colours and gold foil paper — gold pearls, and red shimmer trim. Best of all, this bundle is available at a sensational discount of $44.95! Order yours today before this deal leaves town, www.creatingwithkylie.ctmh.com.au!!! Think pink all month long with the Pretty in Pink special! During February, you can celebrate what matters most with a select group of pink and gold items available at 25% off the retail price and three exclusive product bundles available at 30% off the retail price. These bundles include the Bashful — Colour of the Year bundle and two bundles with supplies to make the Butterfly Mobile Papercrafting Project. For Hostesses: When you host a party that reaches the third level ofHostess Rewards or higher, you’ll receive a FREE Colour of the Year bundle — that’s a $55 AUD value, totally free! For New Consultants: Anyone who becomes a Close To My Heart Consultant in February will receive a FREE Colour of the Year bundle in their New Consultant Kit — $55 AUD value, totally FREE!